The Auburn Police Department announced Wednesday they located a boy first reported missing on Tuesday. 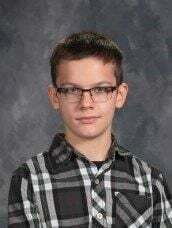 According to a news release from 1:35 p.m. Wednesday, police located 12-year-old Jonathan Parker, who the department had asked for the public's assistance in finding earlier in the day. In the release announcing Parker was located, the department thanked the public for their assistance. Parker was reported missing Tuesday after leaving his Auburn residence of his own accord, according to the original release. Staff writer Dan Orzechowski can be reached at (315) 282-2239 or dan.orzechowski@lee.net. Follow him on Twitter @OrzechowskiDan. The Citizen's top five stories of the work week.